The messy situation – albeit certainly understandable in the context of what has been up until the start of October a closely contested championship battle – proved a convenient distraction from Vettel’s rapidly evaporating title hopes after finishing an ineffectual third. From there strategy became Ferrari’s only option to get ahead of Hamilton, and the Scuderia went aggressive, pitting on Vettel on lap 14 for a new set of soft tyres – Bottas had stopped for the same yellow-striped compound one lap earlier – to undercut the championship leader, who came in on the following lap in response. The two went side-by-side as Hamilton emerged from pit lane, and the Mercedes driver was forced to concede the place into turn two – but any Ferrari celebrations proved premature, because by turn 13 Vettel had locked up, opening the door to a Hamilton challenge that came at turn two on the following lap. 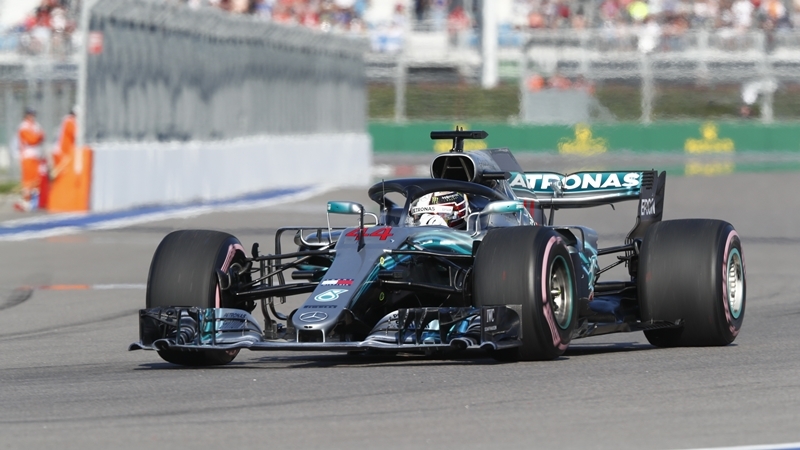 The 21-year-old inherited the lead when the Mercedes and Ferrari cars made their sole stops – indeed he led the most laps of any driver – but his unavoidable lap-43 stop for new ultrasoft tyres dropped him out of podium contention, leaving him to finish fifth ahead of Red Bull Racing teammate Daniel Ricciardo. Wow! There was an actual on-track pass for the lead. First time in years. And, even it was by design. F1 is fast and beautiful, but, there is no real racing for positions.